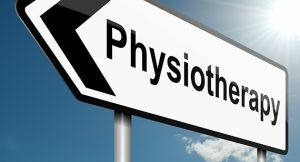 Physiotherapy is a science and evidence based practice both of which are vital to everything we do. However, where we possibly differ from your GP or potentially even your chiropractor is that we are here to listen to you and what is worrying you. This may be pain, movement, function or activity or something that is a mix of all of the above. We will question you on the problem but will spend time listening to what is bothering you about it. We will assess your movement, check for potential serious issues and feel what the muscles and joints are doing. From this we will do our best to help make the problem feel better but more importantly to teach you how to keep it better. This may involve looking at your posture or teaching you some exercises or simply giving advice on how to reduce pain. The hope is that you will then be able to maintain the benefits we have given you – and that you can go on doing this without our help. It may take a few sessions to get you to where you want to be but then you will know how to keep yourself there!